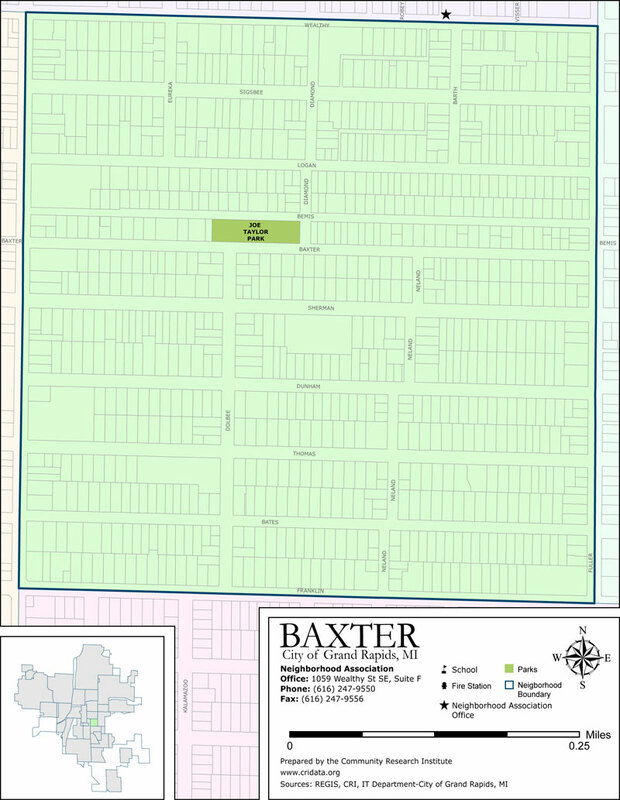 Baxter Neighborhood is bounded by Wealthy Street on the north, Fuller Avenue on the east, Franklin Street on the south, and Eastern Avenue on the west. Some of the features of this neighborhood are Joe Taylor Park. Franklin/Eastern Business District, and Wealthy Business District.